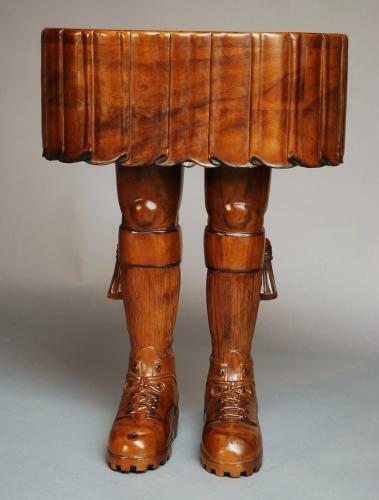 The top is in the form of a Scotsman's kilt with a pair of legs as the base, carved in the form of traditional Scottish attire. This table is in excellent condition and has a detachable top which allows you to adjust the table height. This is an ideal occasional table or would be great as a statement piece.